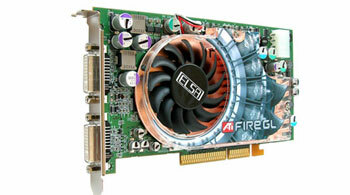 Notes: This is the most common 9800 card; it's the easiest to flash and the most compatible. 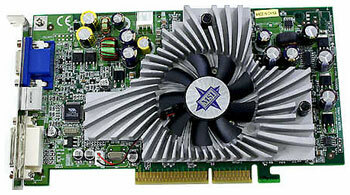 Notes: Older card, not very common; 9800 Pro with slower parts; may be overclockable to Pro or near-Pro speeds however. 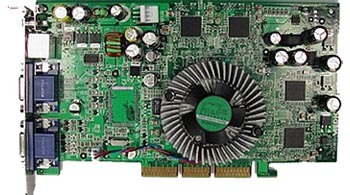 Note: Cards (such as the one pictured) with only one gap ("key") in the gold AGP connector are 4x/8x Compatible only, and will work only in G4 Towers Digital Audio (466+MHz) and newer, as well as G5's. Notes: Fastest of the 9800 cards. When flashed with the Mac XT ROM: This card can use all 256MB of RAM, and, in most cases, variable speed fan control works as well. However, the DVI port will only output analog video, meaning that it cannot drive a DVI display; only a VGA monitor through an adapter. The S-Video port will not function. When flashed with the 9800 Pro ROM: The card can use all 256MB of RAM, and all ports will function correctly. The card's fan will run at full speed all the time, which is louder, and can be annoying. ROM to use: See 9800XT above. 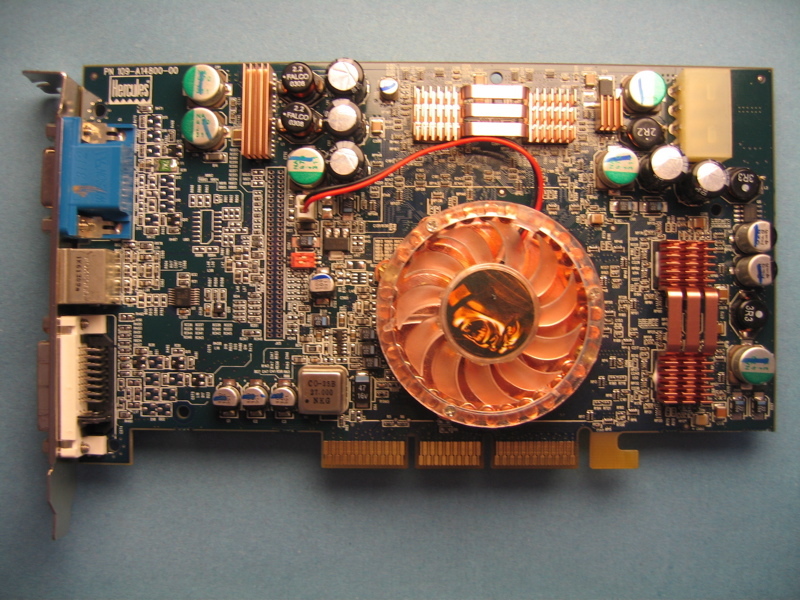 Notes: This is a rare card made by GeCube and Grandmars with a special (and very nice looking) copper cooler and a slightly different board layout. It has been flashed successfully and its details are identical to the 9800XT above, although note that the stock clock speeds are slightly lower. Notes: One way to get double the RAM is to double the chips - and that's just what ATI did with this card. At this time, there is no ROM known to work on this card. Only one known-working copy of this card has ever been flashed, and it produced only corrupted video. This is a rather uncommon model of card, and has no serious advantages over other 256MB models. Notes: The other way to get double the RAM is to use the same number of RAM chips, but double the density. That's what this card is. Arti has made a special version of the 9800 Pro 130 ROM that enables all 256MB to be used on these cards, as long as they have DDR (and not DDR2) RAM. Notes: These 256MB 9800 Pro cards use DDR2 RAM rather than standard DDR; Arti has made a special ROM for these that is now available in the WikiDownloads. 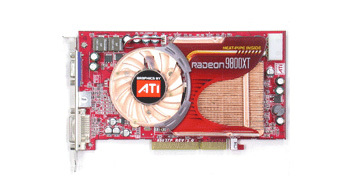 Cards sold as "256MB 9800 Pro" are also sometimes sold built on the 9800XT board (see 9800XT above), running at Pro speeds. 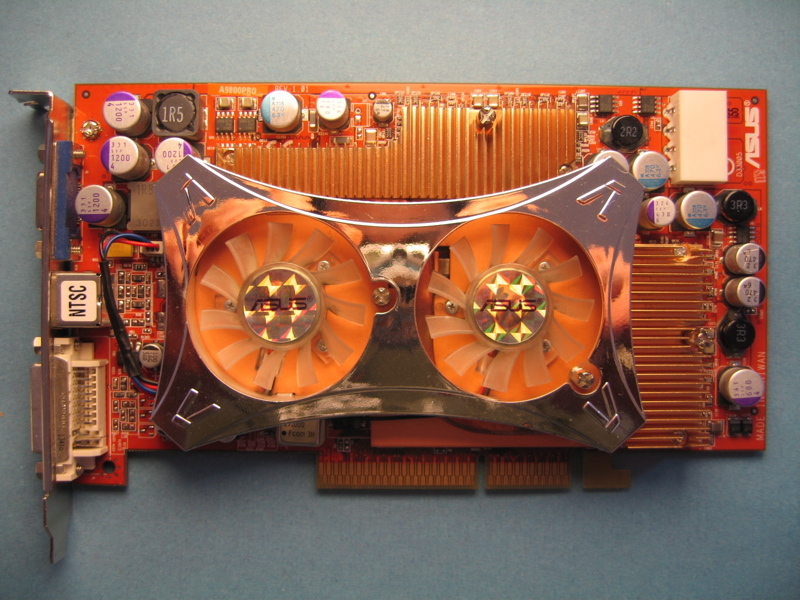 This card has a smaller, more modest cooler, which is believe is not speed-controlled. 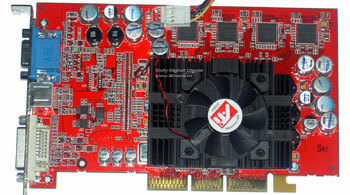 Good results have been had flashing such cards with the Retail 256MB Radeon 9800 Pro v134 ROM. See forum threads here and here. Notes: Basically a 256MB 9800 Pro with an R360 (9800XT) chip. Known to be made, with often disappointing quality, by disreputable manufacturer Jetway. Many of these cards fail to live up to the specifications that they are advertised at, and most of the cooling fans seem to fail. G4 Cube: Possible, VRM move required, external power reccommended, cooling questionable. Notes: Handicapped 9800 - half of the pixel pipelines disabled. Built on the 9700 Pro board. Flashable. Fits in Cubes, although sometimes problematic. Notes: The same basic details (speeds, pipelines, etc) apply to the Pro, Non-Pro, and SE varieties of this card as apply to normal "reference design" 9800's. These cards are sometimes unstable in Cubes, and supposedly have a better success rate in towers. The only benefit of their smaller, non-standard design is that they are small enough to fit in a Cube, provided the Voltage Regulator Module (VRM) has been moved, and additional power and cooling are added. Notes: Doubly handicapped 9800 - half of the pixel pipelines disabled, and width of the RAM bus also halved. Built on the 9500 Pro board. Notes: This card is not usable once flashed. 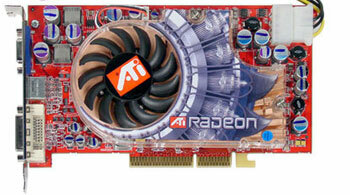 It uses cheaper/slower RAM chips than other 9800 cards, and no ROM currently exists that will work on this card. Notes: 9800 model known to be sold by MSI (Micro Star International) and Medion. Attempts to flash it have reportedly failed. 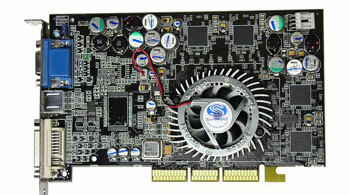 It looks like a nice card though, as it carries a R360 core and big aluminum coolers front and back. Unfortunately, not for Mac users. 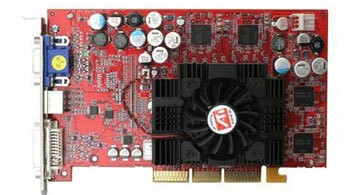 Notes: This card is sold by Medion, and perhaps also by MSI. Nobody has reported on the flashing of one today, so I'd give it a 50/50 chance of working, based on the information available. Notes: This card is essentially a regular 9800 Pro video card, however, it features far superior cooling to the stock 9800 (better fan, and heatsinks on the ram chips) which make it must more suitable for Mirror Drive models. Notes: This card is usually marked as a 9800 Pro 256MB but has the R360 chip of the XT model so can usually be clocked at XT speeds. It flashes fine with the 9800 Pro 256MB rom (v130 works) to give DVI output, and because the fans are much quieter than the stock XT fans, doesn't drive you crazy like the XT on a Pro rom does. Notes: Exotic and expensive high-end card. 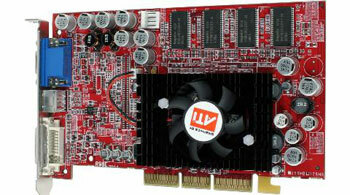 Hardware-wise, save the addition of the second DVI port and omission of S-Video, this card is identical to the 9800XT. 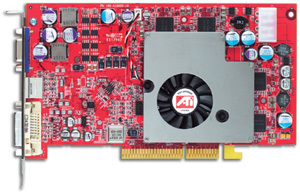 If you should happen to come across one of these cards, you may be able to flash it using the Mac 9800XT ROM and get dual-DVI functionality along with some nice, fast performance. Such a flash has never been reported. 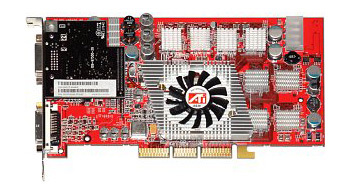 It may also be the case that this card will mimic the behavior of the 9700-based FireGL X1, and each port will only do VGA output when flashed with the Mac XT ROM. It has been reported that when flashed with the Pro ROM that one of the ports works, but the other does not. 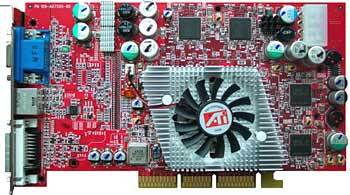 Notes: ATI's lower end FireGL 9800 card - a 16-chip 256MB card running at XT speeds. Same details apply to regular 16-chip 9800, never flashed successfully.